“Bonjour les élèves et bienvenue!” teacher Christina Vaughan excitedly exclaims (“Hello students and welcome”) as her students enter Room 25 at First Avenue Middle School (FAMS). The students occupy their seats and wait attentively as Madame Vaughan, a French teacher at Arcadia High School (AHS), promptly starts the lesson. 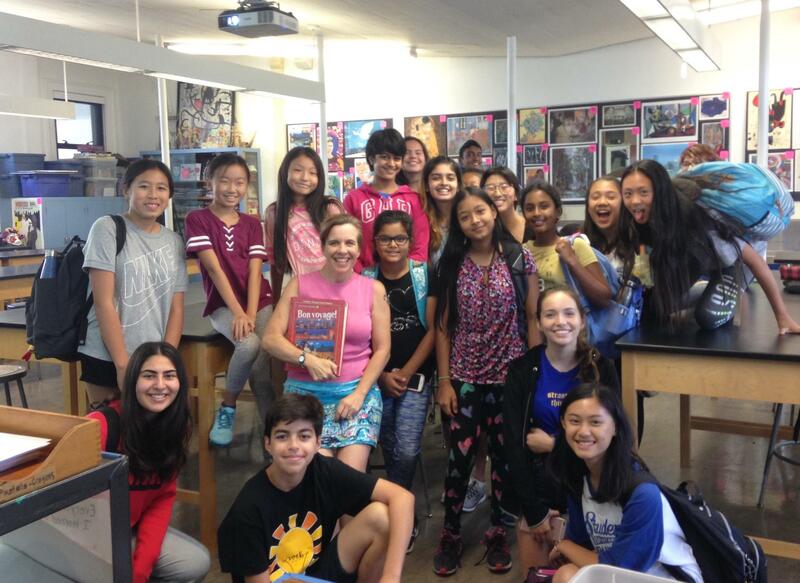 The after-school French program at FAMS, a new project for the 2018-19 school year, is the very first time any middle school in Arcadia has offered free French classes as an extracurricular activity. Before the new school year began, Vaughan suggested the idea of the program to the FAMS administration. When Dr. Semeen Issa and Michael DeGrazia, Principal and Vice Principal at FAMS respectively, were informed about the concept, they were eager to incorporate it for their students, giving Vaughan the green light for the program. Six weeks of classes, however, is a very short time to master a new language. The program is not intended to give students full mastery of French, but rather serves as “an introduction so that students consider and evaluate whether they want to keep learning French in the future,” Vaughan emphasized. Vaughan hopes to expand the program and “take it on the road” to teach students at other Arcadia Unified Middle Schools, such as Foothills Middle School, Dana Middle School while continuing at FAMS during the next school year.